What is pizza al taglio? Pizza by the slice, but not what you probably think. We’re not talking about a New York-style slice that’s big, triangular and meant to be folded in half. We’re talking about a rectangular pizza cut in rectangular or square slices. It’s also not a meal to order, sit down and enjoy. Pizza al taglio is a casual affair. 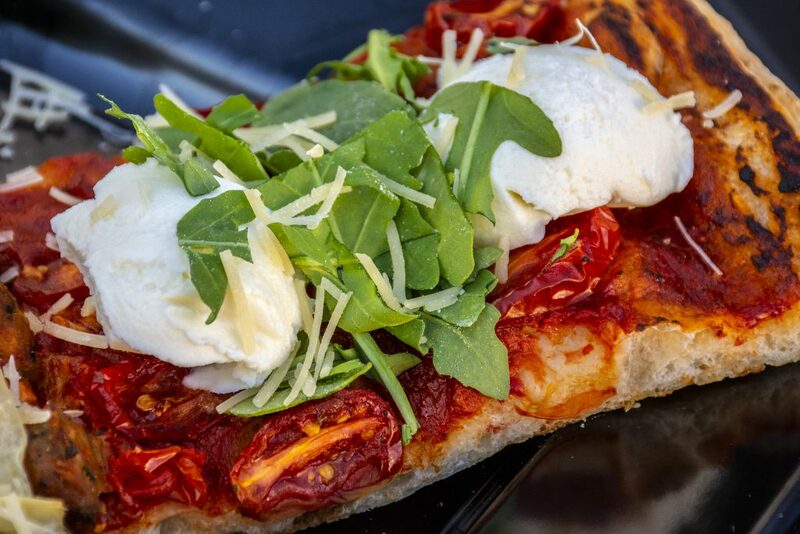 Grab a slice and head out to the piazza or street and enjoy the weather. It’s the perfect street food. A couple other interesting things about pizza al taglio. First, most places charge by the weight of the slice you order. Second, the pizza is cut with scissors, not a traditional pizza cutter. Where is it pizza al taglio from? This style of pizza was invented in Rome and is common throughout the country. Is it popular in the United States? Yes! Just check out this article from Thrillist about Americans’ growing addiction to pizza al taglio. It’s not surprising that pizza al taglio has taken off in the states. Fast casual dining is booming and we’re a nation that eats with its eyes. Seeing a display case full of pizzas is a tempting prospect to any hungry customer. Rome’s esteemed pizzaiolo, Gabriele Bonci, make quite a bit of news last year when he opened Bonci in Chicago, a pizzeria specializing in pizza al taglio. The restaurant has received rave reviews and there are plans to bring the concept to more people throughout the United States. First, the good news. You don’t need any special type of oven to make pizza al taglio. Wood-burning ovens are great, but electric or gas will work just fine. However, it is recommended you cold-ferment the dough to impart the crust’s trademark properties. This means making pizza al taglio takes time and can put stress on any cold space you have in your restaurant. Pizza al taglio’s crust resembles a high-quality artisan bread. It’s a highly hydrated dough that can be cold fermented for a couple of days. This combination gives the crust a crisp bottom with a light, airy crust. Big holes in the crust equal quality and give consumers the feeling they are eating something light but unbelievably satisfying. You’ll need to bake the pizzas in rectangular pans. 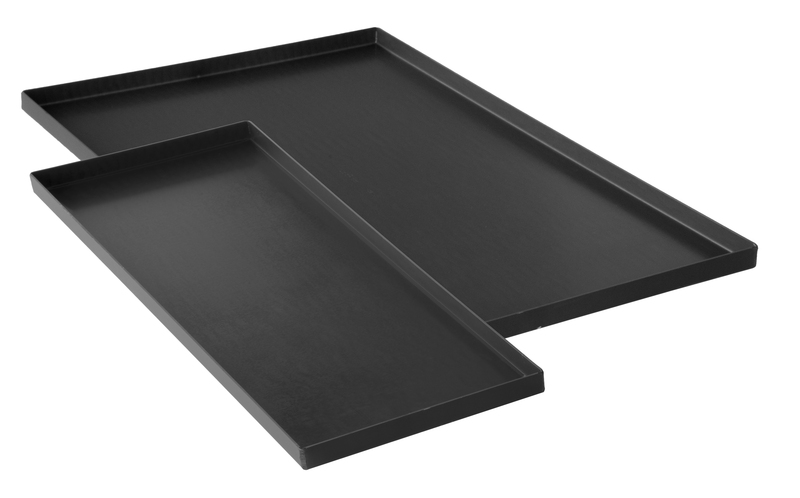 We designed our pizza al taglio pans to replicate the size of classic roman pans. Our full-size pizza al taglio pans are 15.75 inches by 23.62 inches. We also offer a half-size pan at 7.87 inches by 23.62 inches. Learn more about LloydPans pizza al taglio pans and purchase them online. As for toppings, get creative. Pizza al taglio is not mired in tradition when it comes to toppings. Experiment with sauces and toppings and think not only about the taste, but also about how it will look in the display case. If you’re looking for a great video of pizza al taglio being made, check out this Gabriele Bonci offering. Nobody does it better.